Think split peas, HERS and MINE — she even featured me HERE and HERE! Thanks Allison! 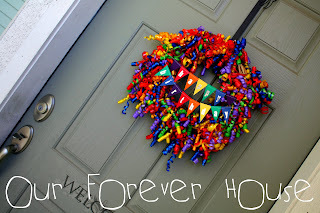 I likely have an unhealthy relationship with decorating and crafting blogs but it brings such joy. As a frugal SAHM of my girl (6) and boy (4), I am truly blessed. I am always reminding my kids that Daddy goes to work to make us money and it is Mommy’s job to stretch that dollar as far as she can. 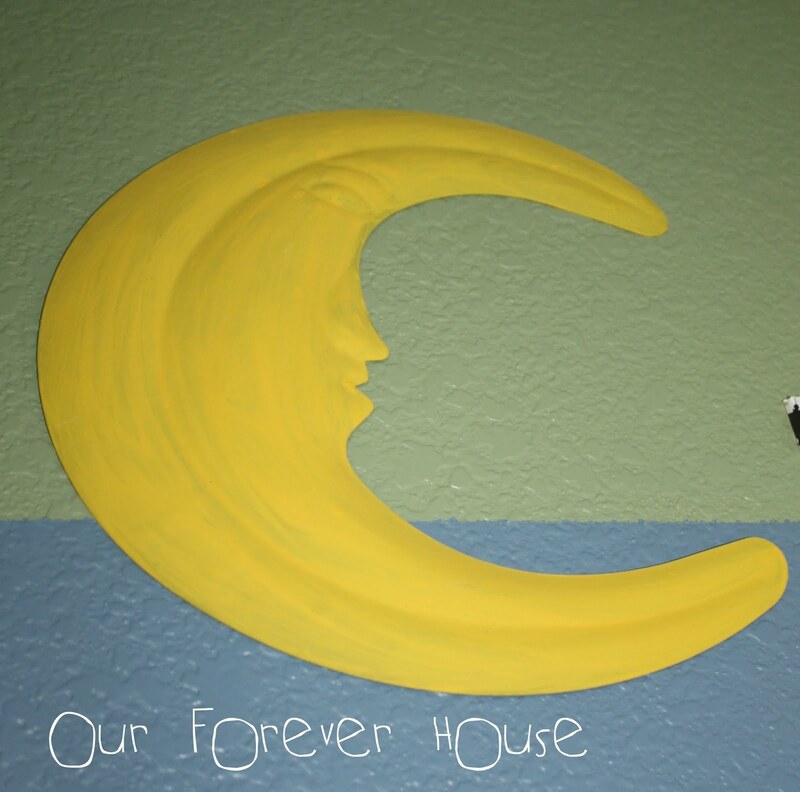 Our Forever House is a journey, as we turn our new house in to our forever home. I want to share our progress, share our love of paint and color, share our scrimps and saves and share our splurges. The adventures range from decorating and crafting, to cooking and baking, and my newest endeavor, sewing! Here are just a few of my favorite projects that I have shared so far! This $10 beauty turned out to be an incredible repurposed headboard. I love hitting yard sales and thrift stores because you just never know what kind of treasures you may find. While visiting our new Habitat For Humanity Store I found this circa 1960s headboard. Not really my taste and while it looks like wood, it is formed plastic over a piece of particle board. 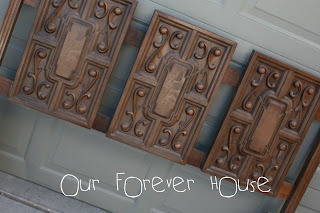 Fortunately they were simply attached to a frame with just a couple of screws. The lines and design reminded me of the expensive carved wood pieces in all the fancy decor magazines for hundreds of dollars. So I grabbed a can of creamy white spray paint and went to work. I absolutely love how they came out. The contrast against our paint (Behr Pure Earth) is amazing! Decorating for the kids is so much fun and I love how you can be both creative and whimsical while maintaining a level of sophistication. 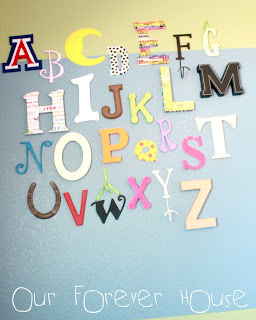 I couldn’t wait to make my own alphabet wall in the kids playroom. The room started with some awesome stripes that incorporated the green paint from my daughter’s room and the blue paint from my son’s room in order to keep some uniformity upstairs. The A is for the University of Arizona right here in Tucson, the C was this rather ugly Mr. 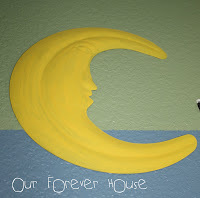 Moon that I found at the Dollar Tree which I repainted yellow﻿. 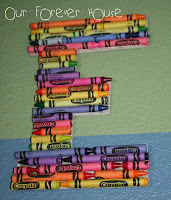 The E was made using crayons which were hot glued to a simple piece of cardboard. The kids love the wall and my son can’t stop singing! 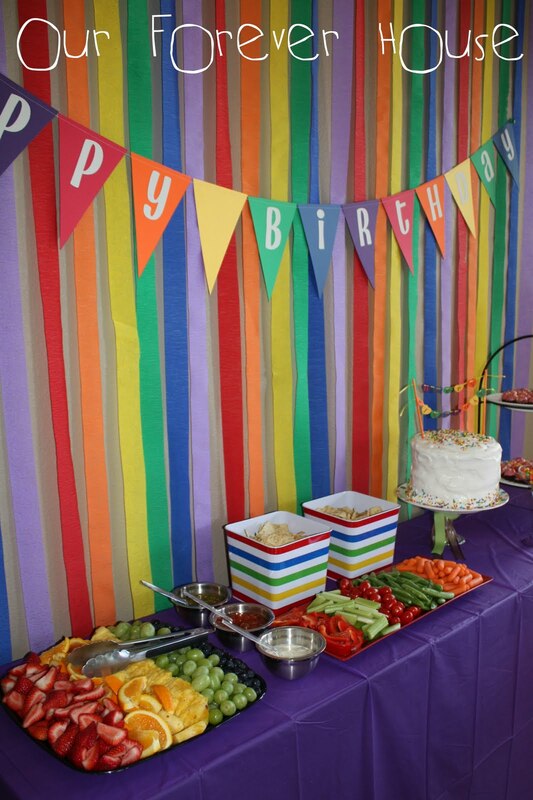 I love to celebrate and go all out for parties. 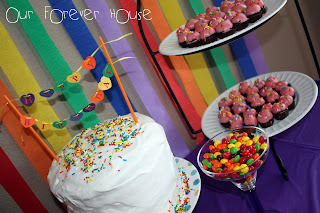 Some of it is my frugal nature (have you priced out parties outside the home lately, YIKES!) and part of it is my crafty nature. My love started with decorating cakes and now I am full on, in to making decorations and creating themed games to play. 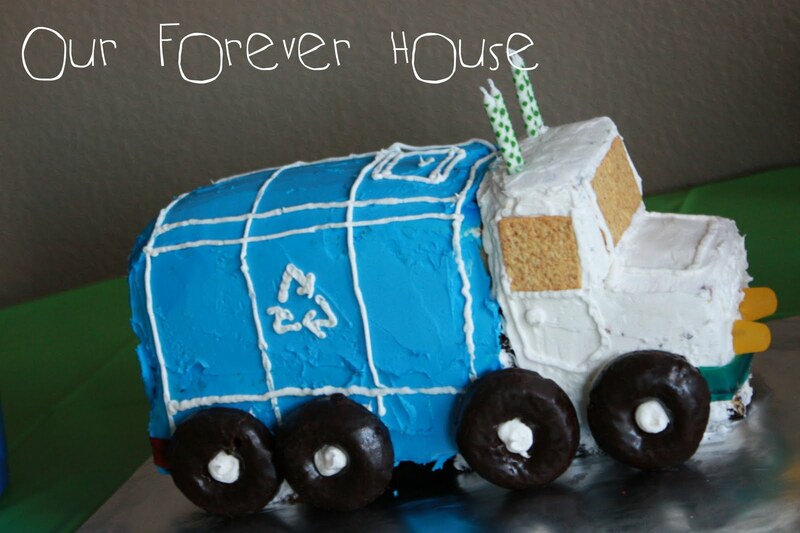 In February we celebrated my son’s obsession with garbage trucks for his 4th Birthday Party. I was especially proud of his cake – a recycling truck. 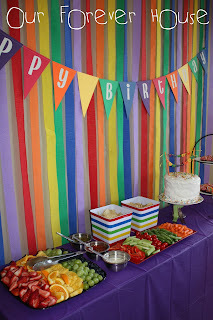 And just this month, we celebrated my daughter’s 6th birthday with a rainbow themed pool party. For this party I went crazy making decor. 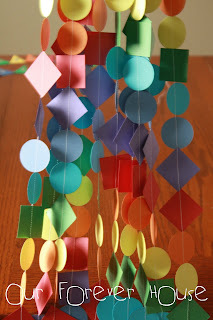 I am obsessed with sewing paper so I created a variety of garlands and banners. I love how it brought the theme to life! The party started right at the door with a wreath made from curly ribbon bows from the dollar store. I also jumped on the chance to make a hidden rainbow layer cake. It was so much fun. 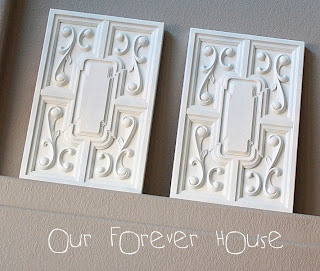 I look forward to having you stop by Our Forever House to say HI! 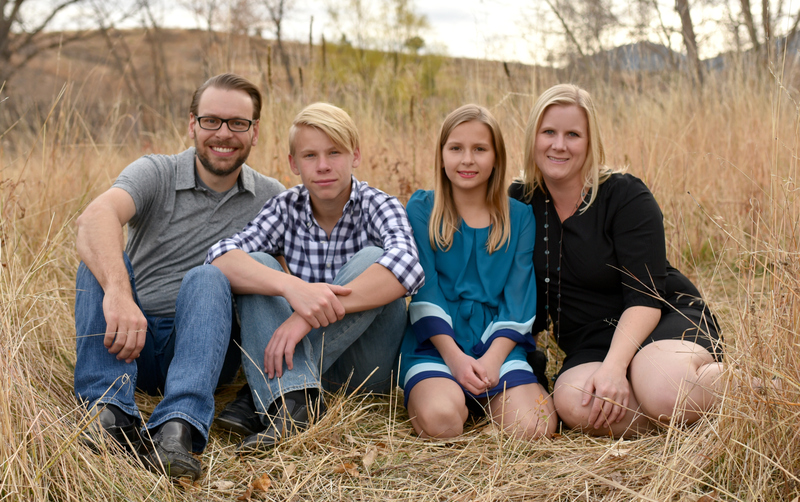 Thanks again to Allison for a chance to share my venture in to blogland! Hope you are having an awesome vacation! Allison! Thank you so, so much for this incredible opportunity. I have been giddy all day waiting for this to post! Thanks again! 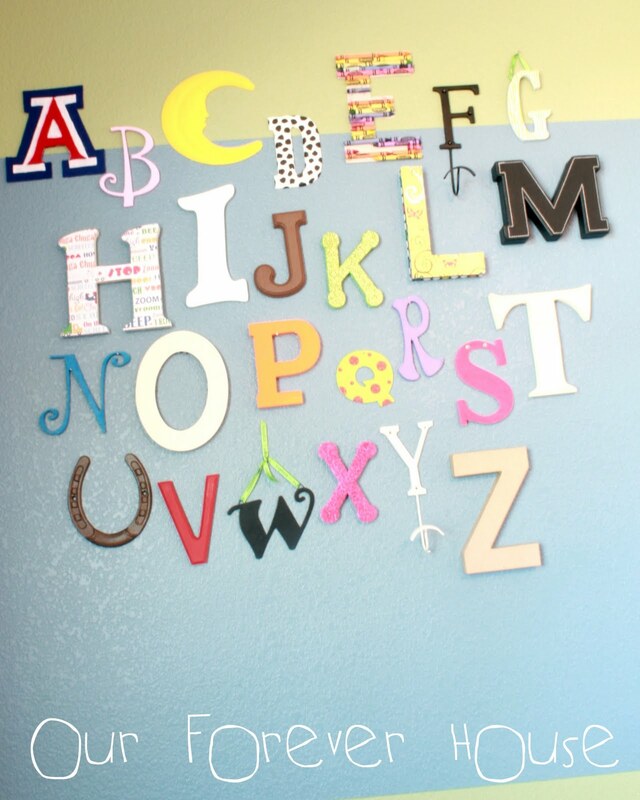 I like the alphabet wall. 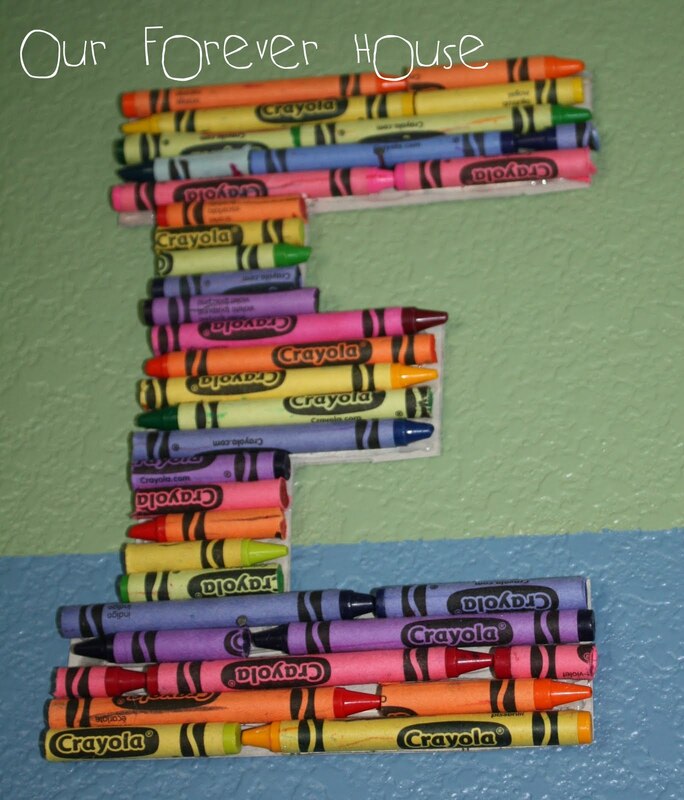 The A is definitely my favorite letter too. 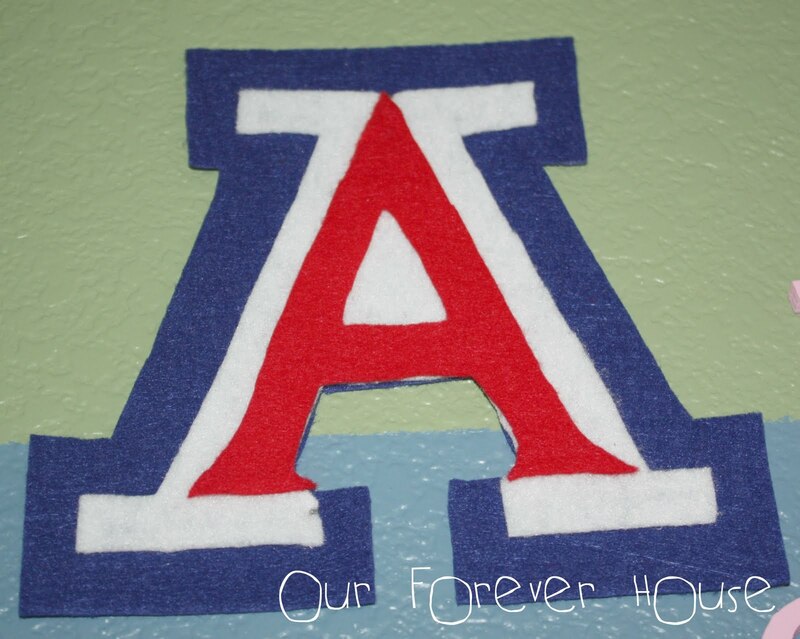 You can’t go wrong loving the Arizona wildcats!!!! Lori, you ROCK! You inspire me and I SO WISH I had your talent! (and patience!) 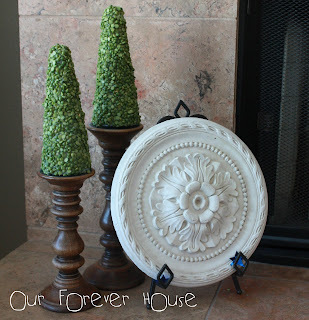 I enjoyed looking at your creations and love looking at the latest on Our Forever House!